In this Long review, we would be talking about Data And Airtime Plans across all network. Kindly read through carefully as we begin. Airtel has numerous tariff plans attractive plans which you can choose to subscribe from and it all depends on what you need. Some plans are more the data side and lesser on the voice plans, while some are more of cheaper call tariff plans than data and some offers more of bonus on every recharge. How To Load Airtel Recharge Card: Simply dial *126*pin#. To Check Your Account Balance: Simply dial *123#. SmartConnect is Airtel’s newest and possibly the most popular tarrif plan also known as “OVAJARA”, with a very largely publicized advertisement campaign. It is also Airtel’s default tariff for new customers who buy their and register their Airtel sim cards. This plan offers 250% bonus, amongst other benefits on every recharge you make, which justifies the “OVAJARA” tag given to the plan. The bonuses are valid for 7 days. And so on for each and every type of recharge you make on your line, you get those bonuses respectively valid for 7 days. NB: Your main account balance doesn’t expire after the 7 days validity period, it remains there permanently until you personally exhaust it. SmartTRYBE is a special plan from Airtel designed to keep their customers connected through internet and voice. It offers a balanced benefit for voice and data. You can make calls at cheap rates, enjoy N500 for 1GB data valid for a week and also use their cheap night browsing to download your favorite series, movies and lots more. Calls at 11k/sec to all networks after your 1st 50 seconds of the day has been charged at 20k/s. N25 for 500MB and N200 for 1.5GB Valid between 12 and 5 am. This is largely a voice based tariff plan with different data bonus depending on your recharge. You get to enjoy calls charged at 11k/s to all networks, including foreign calls. To migrate simply dial *318#. All calls to all networks and in Nigeria and international calls are charged at 11k/sec after the 1st min of the day at 40k/sec. International Calls are exclusive to these countries: US, UK, India, Canada, China are at 11k/sec after the 1st min of the day at 40k/sec. Receive phone calls for free while roaming for up to 500 minutes/outside Nigeria. On recharge of N1000 above 150MB bonus. To migrate simply dial *315#. 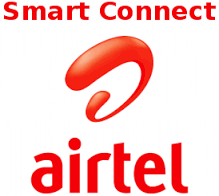 smartVALUE is another voice based tariff plan on the Airtel network. Your calls are charged at 15k/s with no daily access fee charge or 1st minute charge. All your calls to all networks are charged at a flat rate of 15k/s. It has similar international call rates with smartTalk 2.0 at 20k/s to USA, Canada, China, India and UK, but with no daily access fee charge. To migrate to this plan dial *314#. smartRoam is a product that allows Airtel subscribers to receive free incoming calls while roaming on 10 networks in 5 countries after recharging N5,000 and above in a month. The N5,000 and above can either be in a single recharge or cumulative recharge within one month i.e 30 days. The cheapest Airtel Tariff plan is the SmartTRYBE plan. Airtel Data plan is classified under their revamped data plan and new internet speed plan called the SmartSpeedo, it basically covers all their data and internet bundles from normal data plans, night and weekend plans to the 2G internet bundles, to the social bundles and lots more. 10MB – You’re given 10mb for free when you use up to 10mb at 1kobo per kilobyte that you use. To be able to use up to to 10mb at 1 kobo per kilobyte you would spend N100 out of your airtime, before you’ll be given an 10MB for free. 50MB – To get the 50MB free data, you’ll have to browse at 0.5kobo per kilobyte that you use, which would be deducted from your main account. To be able to use up to 50MB at 0.5 kobo per kilobyte, you would have to spend 250 Naira from your main balance to get an additional 50MB for free. 100MB – this is the last and final stage, to get 100MB free data from Airtel, your PayG data would be charged at 0.2kobo per kilobyte. This after you must have passed through the 10MB and 50MB stage within the same month. To be able use to up to 100MB at 0.2 kobo per kilobyte, you would have to spend 200 Naira from your main balance to get an additional 100MB for free. NB: This charges only sets in when you do not have any active data plan or bundle on your Airtel line. How To Subscribe – simply dial*418#. Monthly Plans: Airtel monthly plans are categorized into two, one under the Android plans and the second is classified under the Mega plan. The Android Data Plan from Airtel has a 30 days validity period and it can be used on any phone brand or OS and not just Android phones. MEGA Plan: This plan has both 30 days plan and plans that have longer validity period, however we’ll be touching only the one with 30 days validity period. To find out about the plans with longer validity period, simply dial *141# on your phone. 2G Pack Unlimited: This is one of ‘s most talked and probably the most subscribed plan on the network right now due to the cost, the volume and the validity period that comes with it. The only disadvantage however is that it can only be used on 2G network I.e E or Edge network on your phone, so before or after you subscribe you’ll have to change your phone’s network settings to only 2G. USSD Code: To check data balance on simply dial *141*11*0# or *123*10# or *141*712*0#. Via SMS: Simply send “Status” to 141. MTN Nigeria is undoubtedly one of Nigeria’s biggest telecommunications giant and they’ve been providing quality network services for Nigerians both voice and data plans. MTN has over the years continued to expand their network services ensuring that Nigerians are able to connect with their loved ones, family, friends and complete businesses from any part of the country with their MTN Sims. Living up to their slogan “Everywhere You Go”. To check your account balance, simply dial *556# for your main balance. However, if you wish to check your bonus balance for any tariff, we’ve included them in their tariff plans. To load MTN recharge card simply dial *555*16 digits pin#. MTN AWUF4U is one of the most attractive bonus recharge offers in Nigeria right now, it gives subscribers 200% recharge bonus on recharge less than N100 and 300% recharge bonus on recharge from N100 and above. MTN customers get to enjoy this offer when they recharge by using *888*pin#. And do you know the most interesting part? You get to enjoy this offer without leaving your present tariff!!! Or migrate to any special tariff to enjoy this offer. Whenever you wish to any of the Awuf4U bonus, simply dial *888*pin#. If you do not recharge using this code, you won’t be given the extra bonus. As soon as your recharge is successful, the actual value of your recharge and the airtime bonus will be credited in your Awuf4U account and not your main account balance. N750, you will get N3,000 in your Awuf4U account i.e. NB: You wouldn’t have any balance in your main account, just your Awuf4U account to make phone calls, send SMS and use PayG Data. Validity Period: N100 to N200 Awuf4U recharge has a validity period of 14 days, while N200 and above Awuf4U recharge has a validity period of 30 days. Once you recharge using the *888*pin# code to get the Awuf4U Bonus, every phone call you make would be charged at 45k/s, until you must have finished using the credit on your Awuf4U account before you’ll be reverted to your normal tariff rates. You can make International calls to 28 (twenty – eight) destinations at N39.6/min at the rate of 66k/sec. The list of the 28 eligible countries to call with the Awuf4U account will be sent via SMS on your first *888*pin# for the day. MTN Pulse is one of MTN’s best tariff plan out there right now with a large amount of MTN customers subscribed to this plan. It has a perfect balance between Data and Voice plans. MTN Pulse Tariff has various attractive benefits that makes it so desirable ranging from Data to voice and lots more. Once you migrate to the MTN pulse tariff plan, you automatically get to enjoy the benefit to call all networks in Nigeria at a discounted rate of 11k/s for a N10 daily fee charge. Which is charged from your first 50 seconds per day, your 1st 50 seconds would be charged at 20k/s, when accumulated it would amount to N10. You’ll be given 10MB data for free on every N100 recharge you make in seven(7) days, but if you recharge from N200 and above you’ll be given 20MB worth of data instead for 7 days. The N500 for 1GB data is only available on MTN Pulse, it can’t be gotten from any other MTN tariff and it is valid for 7 days. To subscribe for this data plan simply dial *406*2*2# or send 103 to 131. This night data plan is only exclusive to MTN Pulse also. As an MTN Pulse subscriber you get to enjoy N25 for 500MB to browse and download at night, between 12am to 4am. MTN BetaTalk is another lucrative prepaid tariff plan from MTN that rewards customers with 3 times the value of their recharge i.e 200% bonus airtime on every recharge from N100 and above. If you recharge N100, you get N300. This plan also comes with a weekly free 10MB on recharges from N100 and above. If you load a recharge card of N100 and above, you get an additional 200% bonus instantly. Your phone calls, SMS, including your PAYG browsing would be charged from your 200% bonus account. It is until you must have exhausted the bonus account or after it must have expired that you’ll be charged from your main account balance. Simply dial *123*2*6# or send BT to 131 via SMS. It doesn’t have a special code, just dial the normal *556#, your bonus recharge and your main account balance would appear. MTN StartPack is a special tariff plan for New MTN customers that enables them enjoy huge benefits from MTN after registering and activating a new MTN SIM. 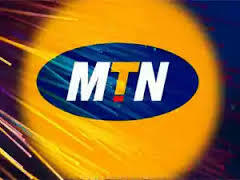 New MTN Customers enjoy 500% bonus whenever they recharge from N100 and above. All your phone calls, SMS and PayG data would be charged from your Bonus Balance and it is until after you’ve exhausted the bonus or it expires that you’d be charged from your main balance. The 500% Bonus is valid for 7 days i.e if you don’t finish using the bonus after 7 days, it would be cleared. However, if you load another recharge before the end of the 7 days, your validity period would be extended and your bonus balance would also be extended. Free 10MB on EVERY recharge of N200 and above and it is valid for only two days. Call rates are charged at N40 per min to all network i.e 66.67 kobo per second. SMS to MTN and other networks is charged at N4 per SMS. Simply dial *559*17#, your 500% bonus and 10MB free data would be displayed to you. You don’t have to migrate to this plan, once you buy a new Sim, you are automatically in this plan. If you opt out of this plan, you wouldn’t be be able to migrate back to the plan. NB: This StartPack benefit or tariff is only valid for six month, after 6 months you’d be moved to BetaTalk, which has similar bonus benefits. MTN’s tariff plan is MTN Pulse. MTN Nigeria is one of Nigeria’s leading Telecommunications Networks, it currently has the second largest internet subscribers in Nigeria, after GLO according to the last statistics NCC. MTN Nigeria has the most balanced kind of internet services, in terms of price, speed and data volume. If you are not satisfied with just a month and also the data volume that comes with it. You might want to try these MTN Data plans that spans for more than a month and at very reasonable prices. Validity Period – Three Months. To check your MTN data balance simply dial *131*4# or send “2” to 131. Glo Telecommunications is Nigeria’s biggest indigenous telecommunications network and since when they began their operation they’ve been offering Nigerians quality and affordable telecommunications services. They were the first network to introduce per second billing for phone calls when other telecommunications networks made it seem like it was impossible and they also offer the most affordable data plan in Nigeria right now. This is strictly a voice plan tariff from Glo that enables customers call at a heavily discounted flat rate at 11k/s to all networks and this also applies to international lines. Before you’ll be able to call all networks and international lines at a heavily discounted rate of 11k/s you’d be charged a daily fee of just N5. If for any reason the N5 wasn’t deducted in your account, your calls to all networks would be charged at 20k/s and the international call rates would be reverted to the normal charges. Whether you make phone calls or not as long as you have credit in your main balance and it is less than N5, the daily fee of N5 would be deducted from your account. So if you do not want the daily fee to be deducted from your account, you might want to consider exhausting your airtime before the next day. List of Countries(30) You Can Call at a Discounted rate of 11k/s: Australia, Bangladesh, Brunei, Canada, China, Cyprus, Denmark, Finland, French Guiana, Guam, Japan, Hong Kong, India, Israel, Luxembourg, Malta, Mongolia, Mexico, Netherlands, Norway, Puerto Rico, Reunion Island, Romania, Singapore, South Africa, South Korea, Spain, Sweden, UK, US . To Migrate to this Tariff- Simply dial *211#. Glo Jollific8 is a specially designed tariff to give new Glo prepaid customers eight times more value on every recharge that they make i.e 800% bonus on each recharge and this bonus also comes with free data. A recharge of N5,000 gives you N40,000 + 500MB (N2,000) = N42,000. N100 – N500 recharge has a bonus validity period of 7 days. N1,000 recharge has a bonus validity period of 15 days. N5,000 Recharge has a bonus validity period of 30 days. NB: When making calls or sending SMS your bonus accounts would be charged first until it expires or get exhausted before you’re charged on your main balance. You do not need any code to migrate to this plan, once you buy and register a new Glo Sim you are automatically in this tariff plan. If you however are not satisfied with this plan, you can migrate out of the plan, however you cannot migrate back into this plan once you do that. Existing Glo Customers cannot migrate to this plan as it is only available for new users or existing users who didn’t migrate out of the plan. The call rate for this plan to all networks in Nigeria is 67k/s. “Glo Generation G” is another prepaid plan from Glo that gives customers BONUS ON ALL of their RECHARGES. Glo can’t see to run out of plans with Bonus data right? Yeah! However this plans doesn’t come with huge bonus benefits like the others, however the call rates adequately covers for that deficiency. You get 50% bonus airtime on each N100 recharge that you make. You get 100% bonus airtime on each N100 recharge that you make. A recharge of N500 and above gives you N200% bonus airtime. NB: The Bonus airtime has a 7 days validity period. For every SMS that you’re charged for you’re in return given a free SMS to send to any network. You’re given 15MB once you recharge from N200 every seven(7) days and the data bonus is valid for 7 days. However, Bonus recharge is charged at 50k/s to all networks. 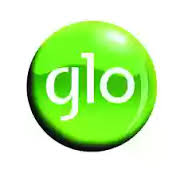 Glo Bumpa is one of Glo Subscribers favorites on the Glo network, because of the massive airtime bonus it offers subscribers on every recharge made on their line. The tariff plan offers 200% bonus on every recharge to call any network, send SMS and for PayG data. It gives you 3 times the value of every recharge you make, for example if you load N100, you get N300. N100 you’re given N300 i.e N100 in your main account and N200 in your bonus account. N200 you’re given N600 i.e N200 in your main account and N400 in your bonus account. N500 you’re given N1,500 i.e N500 in your main account and N1,000 in your bonus account. 1,000 you’re given N3,000 i.e N1,000 in your main account and N2,000 in your bonus account. And so on on every recharge…. NB: This validity period doesn’t affect your main balance, your main balance remains there until you decide to use it. N2,000 Recharge and above – 30 Days validity. To migrate to this Plan simply dial: *100*10*1#. To check your 200% recharge bonus balance dial: *122*2#. Glo Bounce package is one of the best tariffs on the Glo network. It offers one of the best and competitive flat rate tariff to all networks. On Glo Bounce you can call for us as low as 11k/s, although this is only for other Glo Subscribers who are on the Glo Bounce Tariff also. Phone calls made to other Glo subscribers that aren’t on the Glo Bounce tariff and other networks are charged at just 15k/s. SMS to other Glo subscribers who are not on Glo bounce tariff – N4/SMS. You are given one free SMS for every SMS that you’re charged. When you load recharge card from N200 and above within 7 days, you’re given free 15NB valid for 7 days. Glo Infinito Tariff Plan is strictly a voice based tariff plan with no bonuses but with attractive call rates and at no daily charge. It is unique and simple. The call rate for Glo Infinito to Glo numbers and other networks in Nigeria is charged at a flat rate of 20k/s with no first minute charge or daily rental fee. You get to call family and friends at a discounted rate of 11k/s once you register the numbers for free. You’re given the opportunity to register up to ten(10) Glo family and friends numbers. Simply dial *101*1*Mobile No#. For example *101*1*08051234567#, 08051234567 being the number you wish to add to your family and friends list. Glo Nigeria is currently the largest mobile internet data provider in Nigeria with the largest number of internet subscribers in Nigeria according to the last statistics released by the NCC. This is could be largely attributed to their affordable data plans, which has almost if not more than double what other networks offer for the same price. Critics mostly say the reason their data plan is so affordable is because of how slow their internet speed is, but with the recent introduction of their ever expanding 4G LTE internet services with ultrafast speed, which has the same data plans and price as their 3G plans. This has more than covered for that flaw and has justified GLO Telecommunications intentions to offer data at affordable prices to the Nigerian populace. Glo has two various cheap daily plans that comes with reasonable data and can be used to instantly surf the internet. To Subscribe Via SMS: send 57 to 127. Etisalat is one of Nigeria’s most innovative telecoms network, even they came into the game a little bit late in the year 2008 with the groundbreaking “0809uchoose” campaign. Where customers could choose their own specially customized numbers. Since then, they’ve continued to grow and not look back and they’re currently among’s Nigeria telecommunications giant. They offer quality network services for phone calls and quality internet data speed. Etisalat’s easystarter bundle is a voice plan designed mainly to keep family and friends connected across Nigeria. It has a unique family friends feature called You and me, where you can register family and friends numbers that you wish to call with free weekly bonus. You’re given N300 for free every week (7 days) to make calls to five etisalat numbers when you recharge N200. However, if you recharge N100, you would be given N100 free bonus to call the five numbers, if you should load another N100 subsequently within the seven(7) days period you’d be given the rest of N200 bonus, which still rounds up at N300. To register a you & me number, simply dial *233*1*[etisalat number]#. To remove a you & me number, simply dial *233*2*[etisalat number]#. To check the numbers you can call with your you and me bonus airtime simply dial *233#. Easystarter default tariff is: 40k/s, however it drops to 20k/s once you use up to N25 in a day calling at 40k/s. You’re given free 10mb worth of data once you load a minimum of N100. This feature let’s you call other Etisalat numbers when you do not have credit and it’d be at the expense of the receiver I.e if the receiver accepts the charges. To use this feature: simply add 268 in front of the Etisalat number you wish to call. E.g 26808091234567. Easycliq is a really cool call tariff that offers customers bonus airtime when they receive calls, 15MB free data, free midnight calls and lot’s more. Once you load N200 within seven (7) days you’d be given 15MB data for free to use for a week. If you load N100 you’d be given 5MB, but if you also load another N100 within that same week you’d be given an additional 10MB, which is 15MB in total. You’re given 10 Free MMS for 7 days once you load N200 within 7 days. Calls are charged 40k/sec to all networks. Once you load up to N200 in a week (7 days) you’re entitled to call all Etisalat numbers between 12am to 4:30am for free throughout the week. Discounted call rate to call Etisalat numbers at 20k/s. Discounted call rate at 20k/s to call five international destinations (US, UK landlines, Canada, India and China). To opt in to this extra plan, dial *330*1#. To opt out, dial *330*2#. For every five minutes call that you receive from other networks, you get one minute worth of free call to other Easycliq users. 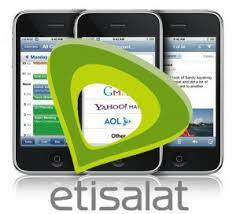 For every SMS that you are charged, you will be get a free sms to text any etisalat line. easylife 4.0 limited edition is a voice based prepaid Etisalat plan that gives customers amazing call rates to all networks in Nigeria and selected international destinations. It is the tariff with the cheapest call rates on Etisalat. This plan offers a heavily discounted flat rate to make calls at 11k/s to all networks, but at a daily fee of N5. Calls to four(4) International destinations (UK landlines, USA, China and India) is charged at 20k/s. Simply dial *420*1# to migrate to easylife 4.0 limited edition. migration is free! NB: migration is only available for customers on easy starter, easy cliq, easyflex talk zone, blackberry voice plan/smartphone voice plan, easylife 3.0, easy life 4.0 bundles, easylife flat tariff and easy SIM. It is without doubt that Etisalat has one of the fastest, if not the fastest internet data speed amongst other telecommunications network in Nigeria and with the recent introduction of their 4G LTE internet service, the speed even just got just better. Although, they might have the most expensive data plans in Nigeria currently, the speed and the reliability of their internet services more than make up for it. This is a daily subscription plan and it has price tag of just N50. Via SMS: Send “MI3” to 229. This is another daily subscription plan and it comes with a price tag of just just N100. Via SMS: Send “MI1” to 229. This plan is valid for 7 days and it costs just N200. Via SMS: send “LCD” to 229. Via SMS: send “LCD2” to 229. Via SMS: send “smartb” to 229. Via SMS: Send “AND11” to 229. Via SMS: send “AND2” to 229. Via SMS: Send “AND22” to 229. Via SMS: send “MB6” to 229. Via SMS: send “SM1” to 229. Via SMS: send “SM3” to 229. To Check Your Data Balance – Simply dial *228#. 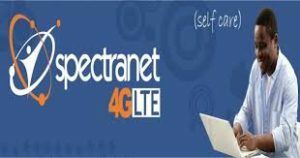 Spectranet is the first Internet Service Provider to launch 4G LTE internet service in Nigeria. It has one of the fastest, reliable and affordable broadband Internet service in Nigeria right now. They currently have internet services available across Lagos, Abuja, Ibadan and Port Harcourt and as time goes they plan on addming more major cities and states to their 4G LTE network. Spectranet Portable MiFi: it comes in two variants and there’s just a little difference between the portable Mifi divices, with the major difference being battery backup hours and price. The 1st Mifi is quite bigger than the second MIFI and has a display small rectangular digital display screen, with the latter not having any of this features. The big Mifi has up to 12 hours battery backup time, while the small Mifi has just 6 hours battery back up time. Ultrafast and reliable internet access. All Spectranet data bundles span for a month and they have special distinctive features. This Spectranet data plans comes with different data volumes and price values, with 24 hours availability for a month, but without any additional bonus. This data plans also comes with various data volume and price value, 24 hours access daily valid for a month. The special benefit that comes with these plans is the Free Unlimited Night browsing additional bonus. NB: Free Unlimited Night browsing between 1am – 7am. Their are various ways to Pay for Spectranet Subscription, which you can choose from below. Right on your SelfCare homepage you’ll see your remaining data volume for the month.